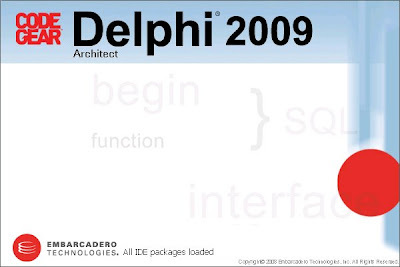 Just got Delphi 2009 installed on my works computer. It is much faster than previous versions. Everything was fine except for one thing. Every time I tried to check for updates I would get a box that showed the Updates required to be downloaded then when I said ok to start the download it would crash out with an error message. It was a bit strange because it was doing the same on a colleagues installation of Delphi 2009. After a bit of thinking I checked my proxy settings. Our new proxy is quite restrictive and doesn't allow executables to be downloaded. After I changed proxy settings to an older less restrictive proxy the updates worked correctly.